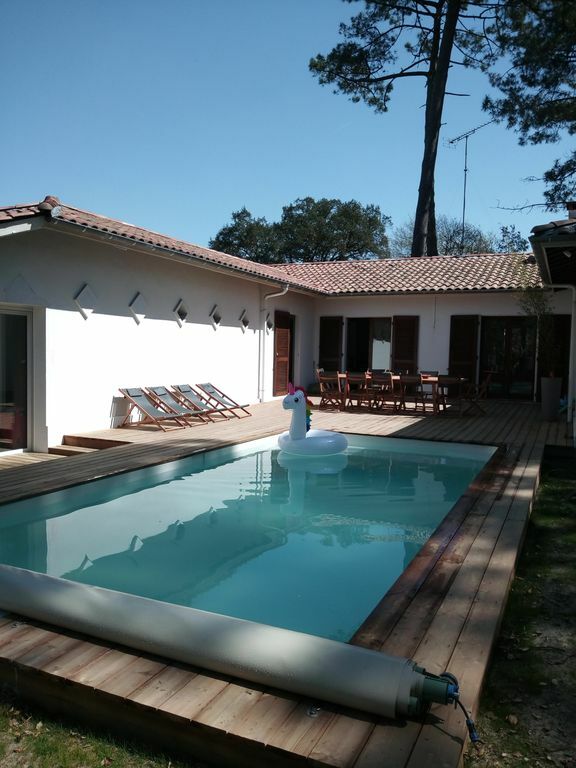 Pleasant house Landaise with an area of ​​130 m2 on a large fenced garden without vis-à-vis, located in quiet and residential area, close to beaches, the bike path, golf courses and shops. The beach is only 2 km (surf school), accessible by car (large parking) or by bike, via a bike path. The center of the village is within walking distance: you will find a grocery store, bars / restaurants, a wood-fired pizzeria, a chicken / fries stand, a surf shop and even a doctor's office. Peggy and her husband are very friendly and respectfull hosts. It was a pleasure to welcome them . Sorry for the troubles with the kettle, we will buy a new one .